Today I have a guest post from my sister Anna. 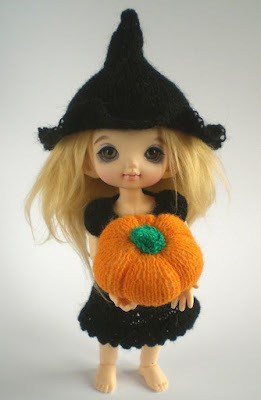 She's sharing some of the gorgeous miniature knitted items that she has made with a Halloween theme, great for adding a seasonal touch to your dolls house! You can purchase the knitting patterns for these items in Anna's Etsy shop here - Halloween Knitting Patterns for Pukifee and Lati Yellow. Jen has very kindly invited me to talk about my Hallowe’en knitting pattern book! It’s one of five knitting pattern books I’ve written for 1:12 scale ball-jointed dolls, especially Pukifee and Lati Yellow. 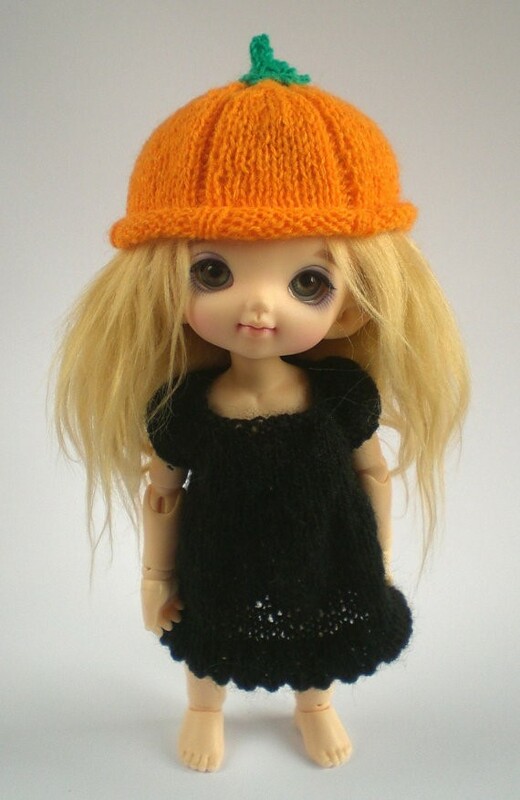 I love these dolls, they are so cute, and it’s easier than it looks to knit clothes for them. All my patterns are designed so that they can be made by any intermediate (or adventurous beginner) knitter. Because these dolls are the same size as dolls house dolls (other than their heads) a lot of the patterns in this book and my others can be used for other dolls, or for decoration. Also of course you don’t need to make them so tiny – using thicker yarn and bigger needles will make bigger items. 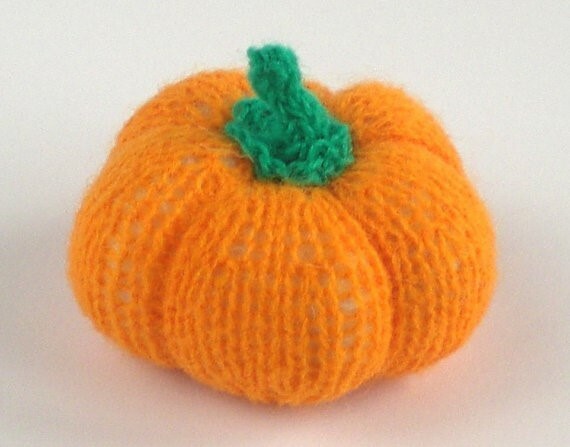 My personal favourite in this collection is the little pumpkin – at the smallest size it is very cute, and you can make it using any yarn and appropriate-sized needles, to make pumpkins in any size you wish for decoration this Hallowe’en! The pumpkin hat has also been very popular, especially in my shop where I also sometimes sell finished items. There are also patterns for a witch’s hat, witch’s cloak and a trick-or-treat bag in the shape of a little cat. 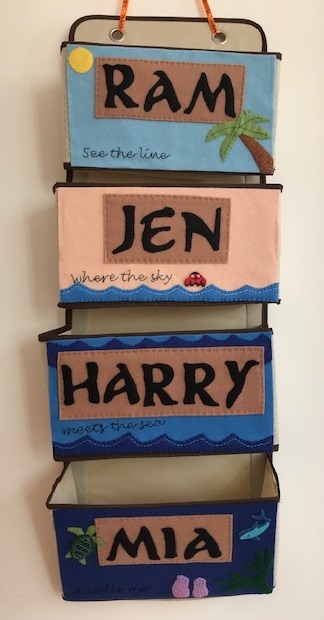 Knitting miniature items can be a lot of fun – a bit fiddly but as they are so small they are quick to finish and you can outfit your whole dolls house with tiny jumpers in no time. Anna's Etsy shop is here - beepbeep - where you can find the Halloween Knitting Patterns book along with other books of knitting patterns and more gorgeous crafty things. I love the pumpkin hat!